With 23 computers already, plus more to come, and with 1,100 people engaged on computer operations, Rolls Royce claims to be among the largest of European users and also one of the most efficient computer users. All installations are based on a minimum economic return of 15% on the investment. 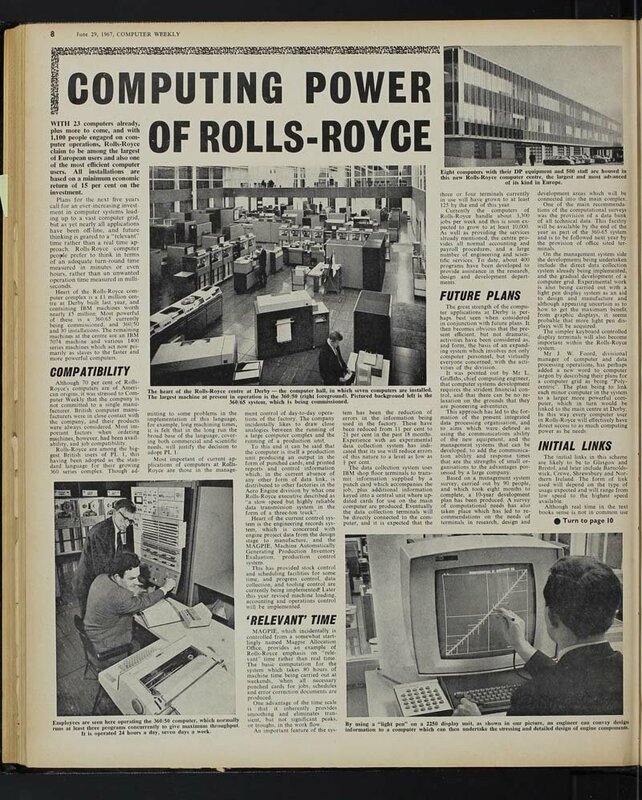 Heart of the Rolls Royce computer complex is a £1 million centre in Derby, containing IBM machines worth nearly £5 million. Most powerful of these is a 360/65 currently being commissioned.